The Himalayan Spiti escape became an instant classic when it was first opened to the public. Like the Monastery Escape, the Himalayan Spiti Escape takes you into the surreal landscape of the Himalayas. 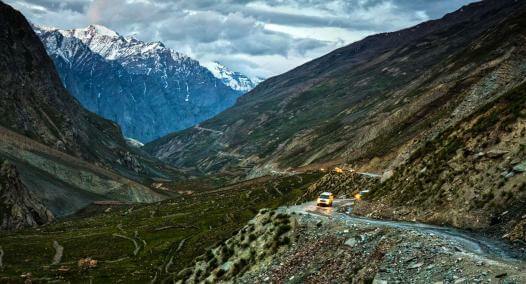 Only this time, we drive into the Lahaul Spiti valley which is arguably off the regular tourist path. 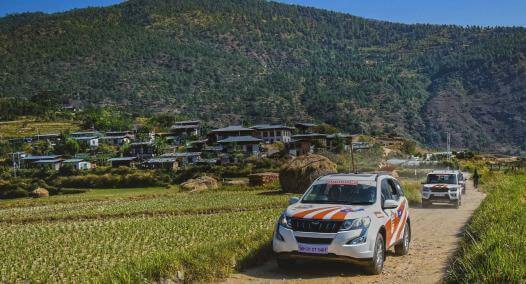 Starting from the beautiful city of Chandigarh, the convoy makes its first night halt at Narkanda – a village famous for the Hatu temple. The road up to the temple is a tricky narrow and winding which requires 4x4 to safely navigate. This is where you’ll get introduced to the taste of what’s coming up through the trip. The next sector takes us into the beautiful town of Sangla in the Baspa valley where we spend a couple of nights surrounded by apple orchards. River side lunches, some off-roading and long walks are the flavour of this night stop. Next up, we move to the quaint village of Nako for a night in the tents along with a nice bonfire for keeping warm. After Nako, it’s time to hit the hard stuff on the way to Kaza where the convoy will spend a couple of nights and will go off-road and visit the Key Monastery, Komic village and enjoy some nice local cuisine and culture. The drive from Kaza to Manali is undeniably the most interesting with over 4 hours of driving over non-existent roads as the convoy makes its way towards the mighty Rohtang on its way to Manali. On this sector, we also take a break at the iconic Chandratal lake. At Manali, it’s time to hit the town and party with the convoy members for couple of nights before the convoy hits the plains towards Chandigarh. The Himalayan Spiti is the one to go for if one wants to see a less populated side of the Himalayas. An expedition ready 4x4 Mahindra SUV. Radio equipment for essential communication inside SUVs where ever possible. Full meals, beverage & comfortable accommodation on sharing basis. A professional expedition management team to manage the convoy, experiences, permissions etc. 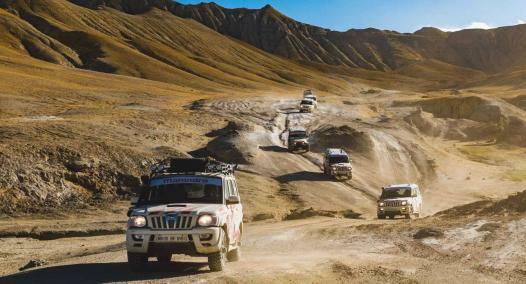 Mahindra Adventure team along with service crew to manage the expedition and to ensure health of the vehicles. Back up driver on an emergency. On board experienced doctor with essential supplies. Airport transfers where ever applicable. One tank full of fuel for expedition vehicles. Flight tickets & additional permit/ visa expenses. Any additional repair caused to the vehicle due to negligent driving. International driving permit expenses where ever applicable. Extras ordered in the room other than the package.